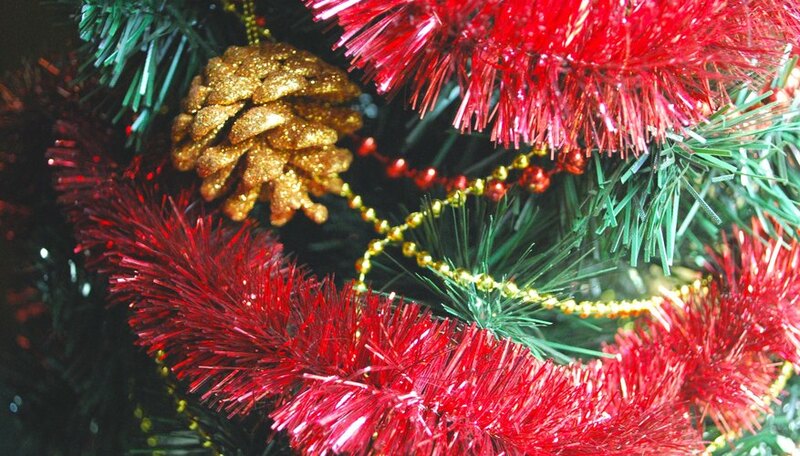 Christmas garlands are the colorful, decorative string that goes on your Christmas tree, or can be wrapped along a mantle or around a doorway for decoration. You can purchase garlands in a variety of styles and colors, but to make your Christmas garland special there are homemade Christmas-garland ideas you should consider. You can make your own Christmas garlands to recapture the holiday memories from earlier Christmas seasons. Make copies of your favorite holiday pictures from past Christmas celebrations and cut them into circles 3 inches in diameter. Take pieces of green and red construction paper and cut them into circles 3.5 inches in diameter. Use glue to mount the pictures onto the pieces of construction paper. 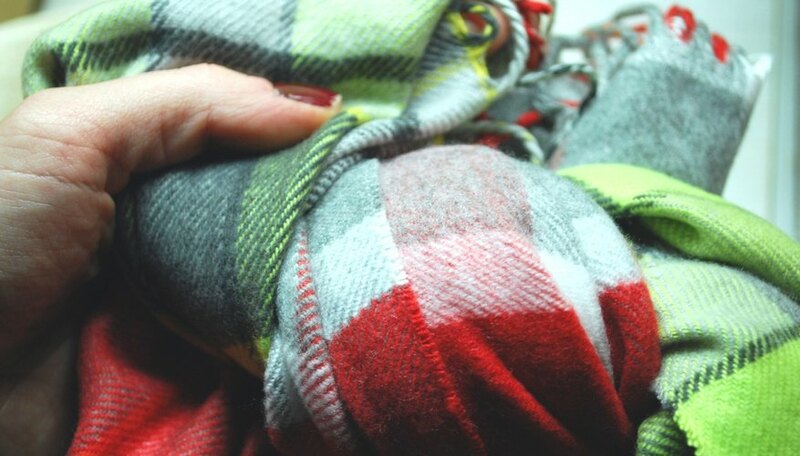 String the pictures together with red, green or white yarn. 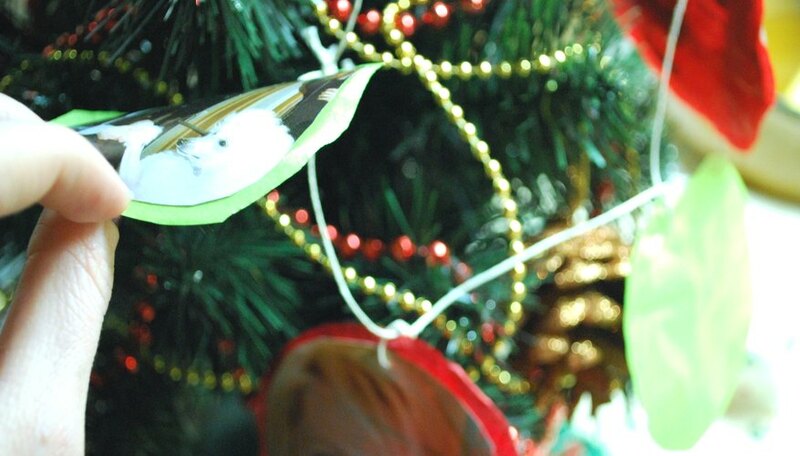 Make a new "Memories Garland" every year with images from the previous Christmas. Food is a fun and easy way to make your own Christmas garland. 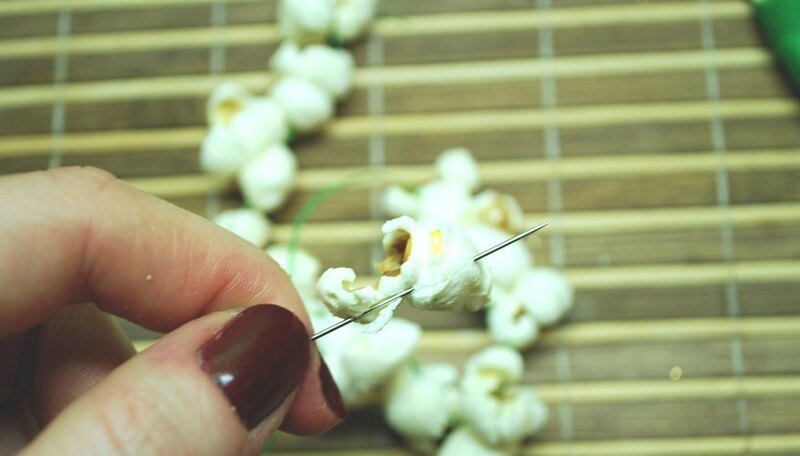 Pop some popcorn and then use a needle and thread to string the popcorn together into a garland. Use paint to make your popcorn garland different colors. Other foods you can string together using needle and thread include Christmas cookies, pretzels, soft Christmas candy and candy canes. Christmas cookies can make a unique Christmas garland. You can also use the Christmas cookie cutters to make a garland as well. Get red, white or green yarn and tie a Christmas cookie cutter on to the yarn at regular intervals. Use a variety of cutters to get a unique look. You can tie together colorful Christmas scarves to create your Christmas garland. Another unique clothing idea for a Christmas garland is to cut old blue jeans into 6-inch squares and tie them together into a garland. You can paint Christmas designs onto the blue jean squares for a colorful effect. You can use a hot glue gun to glue together plastic-wrapped Christmas candy into Christmas garlands. 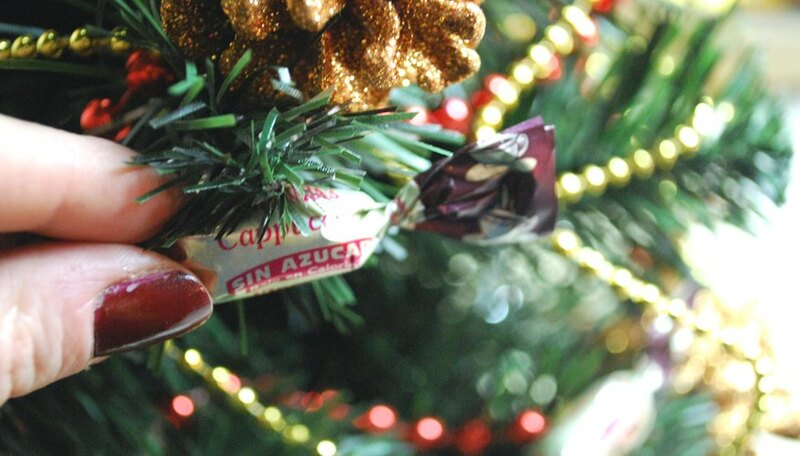 Some of the candies you can use include: red-and-white swirl Christmas mints; candy canes; and Christmas suckers.